Connect with TCA on Social Media! The Governor has called a Special Session on July 18, 2017 to address the Sunset of mental health licensing boards. You can make sure the Legislature fixes the problems and doesn’t just extend the Sunset dates. Write letters to Governor Abbott and ask him to include creation of the Behavioral Health Executive Council (HB2898/SB322_85R) in the proclamation for the Special Session, rather than a simple extension of the Sunset date for the mental health licensing boards. A simple extension will only continue the issues we have at DSHS. The Sunset Commission and the House Public Health Committee unanimously supported the model in HB2898/SB311 (85R) to house all mental health licensing boards. Texas can improve the regulation of mental health professionals NOW with the efficient model set forth in HB2898/SB311, rather than kick the problems down the road for another legislative session. The Behavioral Health Executive Council model is endorsed by all the mental health licensing boards as well as TCA, TAMFT, TSCSW and NASW-TX. The Behavioral Health Executive Council is an innovate strategy that creates efficiency, maintains oversight of mental health professions, aligns with the state’s goal of responsible consolidation, leverages operational efficiencies, and protects Texas’ immunity from federal restraint of trade claims. The number of school counselors at each campus in Texas will now be readily available in each school’s Texas Academic Performance Report. (TAPR), published annually by TEA, as result of your calls and advocacy. The collaboration of ALL TCA members to support School Counselors achieved this great result. 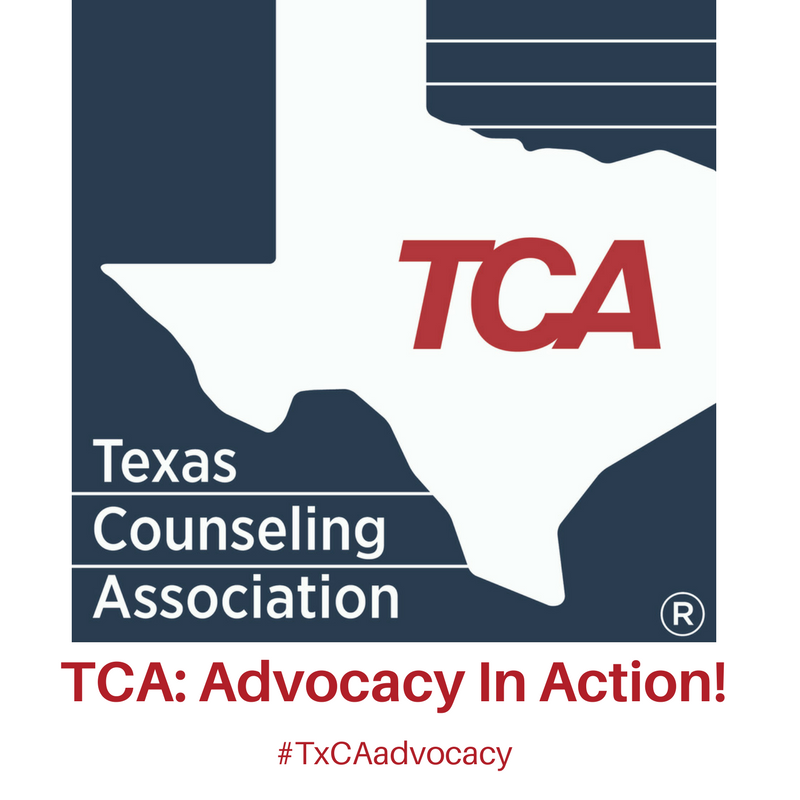 The fact that Governor Abbott signed this bill is another indicator of how strong the voice of TCA and its members is in influencing public policy and raising awareness of the important work of school counselors! Congratulations. SB 490 is just one of the bills that supports school counselors that passed this session in Texas. June 18, 2017 is the deadline for Governor Abbott to veto legislation. Any bills that he does not veto automatically become law. TCA will provide a Legislative Update late this month to reflect final actions on bills that we tracked this session. Texas Health and Human Services is hos ting six free training sessions around the state addressing Trauma-Informed Care for Individuals with Developmental Disabilities (IDD). There is also a train-the-trainer track. The courses are designed for educators, case managers, direct care workers, family members, mental health professionals and other community providers. Early Bird Registration is Open for PGC 2017! Save money with early-bird registration for TCA's 61st Annual Professional Growth Conference & Annual Meeting, November 15-18, 2017 in Galveston, TX. We are meeting at the beautiful Galveston Convention Center and the San Luis Resort. Come network, learn and visit with exhibitors; add in a walk on the beach and you'll return to work refreshed and revitalized! Are you a mental health professional with student loan debt? 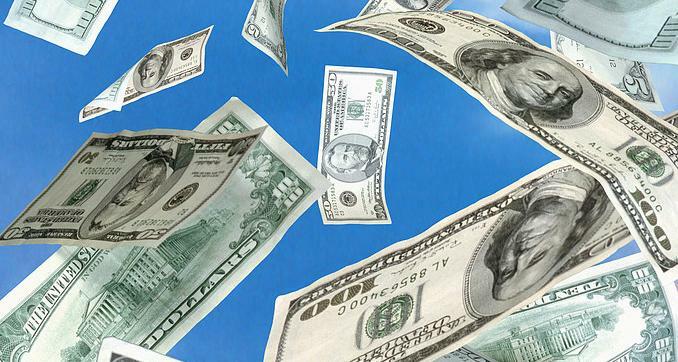 Find out if you qualify for state loan repayment. The deadline has been extended to June 30. 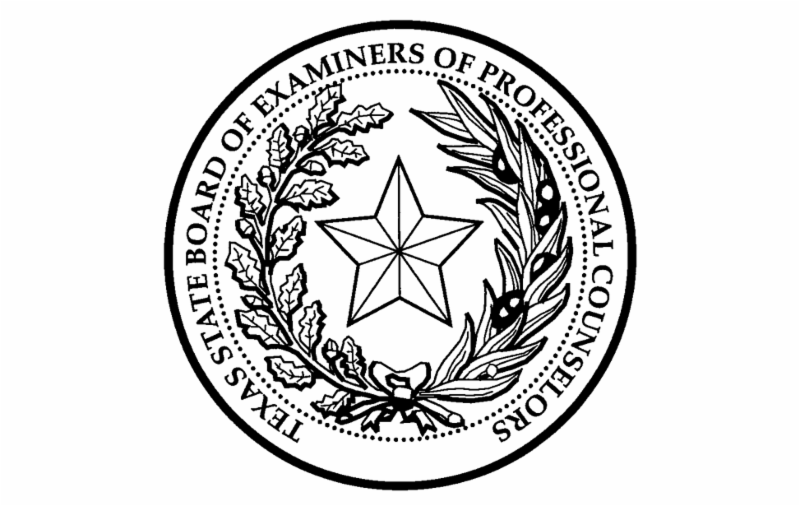 The Texas State Board of Examiners of Professional Counselors and the board’s committees will convene public meetings June 14 - 16, 2017. The State Board for Educator Certification (SBEC) is moving forward to establish new certification standards for Certified School Counselors that more closely align with best practices and statutory changes to school counselor duties. Stakeholders, including representatives from TCA, TSCA and TACES have been working with SBEC staff since June 2016. The initial draft was presented to SBEC on June 9, and they are expected to begin the first steps to adoption at their August meeting. TCA has submitted comments and testified throughout this process and will keep you posted when the rules are posted for public comment.